If you’re anything like me you’re always trying to find extra ways to sneak a few more fruits and veggies into your diet. 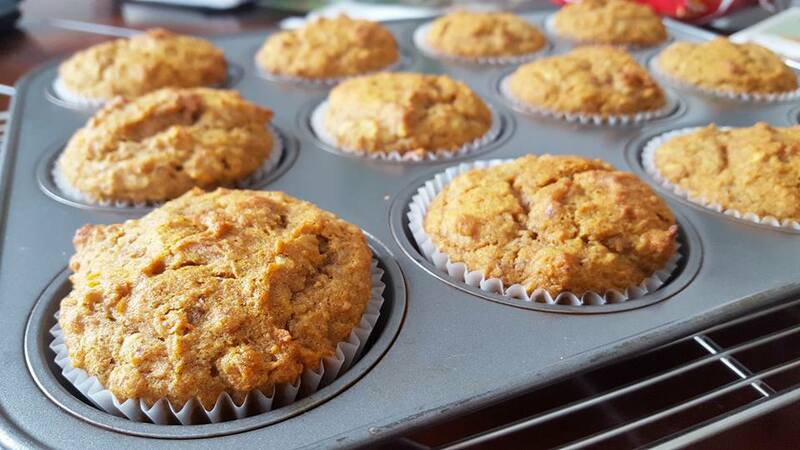 These muffins call for an apple and a cup of grated carrot so its a good way to sneak in some extra nutrients and boost the fibre content. 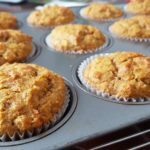 This is a gluten free recipe but it can be easily converted to a regular muffin recipe by adding 1 1/2 cups of regular flour as opposed to the 2 types of gluten free flour and by not adding the xantham gum. In a non-gluten free recipe you also don’t need as much fat so feel free to substitute the oil for apple sauce at a 1:1 ratio! Add all dry ingredients together in a bowl (flour, flax, baking soda, baking powder, cinnamon, xantham gum) and mix with a whisk until combined. To this mixture add egg, honey and oil until well mixed. Grate carrot and apple (or food process if you like) and then fold in to final mixture, mixing in but not over mixing. Bake for 25-30 minutes or until and inserted tooth pick comes out clean.